Are you bored of same visual appearance of Facebook? Here is the best tool to modify visual components such as color, changing font size and text size. Just download and install the extension on Google Chrome and you ready to go! 1. Download Google Chrome web browser if you don't have already one. 2. 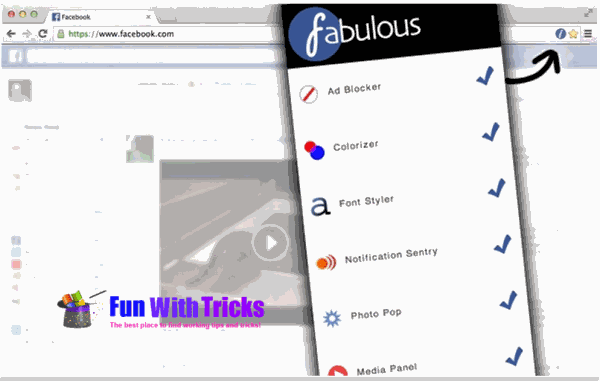 Download and install the Google Chrome extension "Fabulous". Block ads and sponsored stories. Change your colors and add a background photo. Change the font and text size - enlarge and zoom photos quickly. Add notification sound alerts and desktop notifications and many more features! This app starts with all features turned off. You can then open the menu and turn on or off which ever features you want whenever you want. 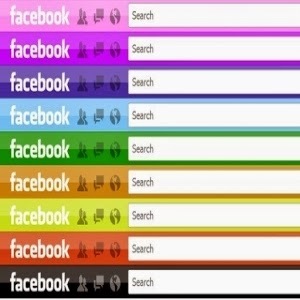 Its time to make your Facebook Fabulous! What are you waiting for? This is a 100% free application, a socialfixer, a photozoom, a social tool fixer, the fastest color, background picture, font changer and disconnect theme customizer for my Facebook.com on Chrome. Invite your friends! Sorry for inconvenience. The link is fixed now.